How do I manage Shogun users in BigCommerce? 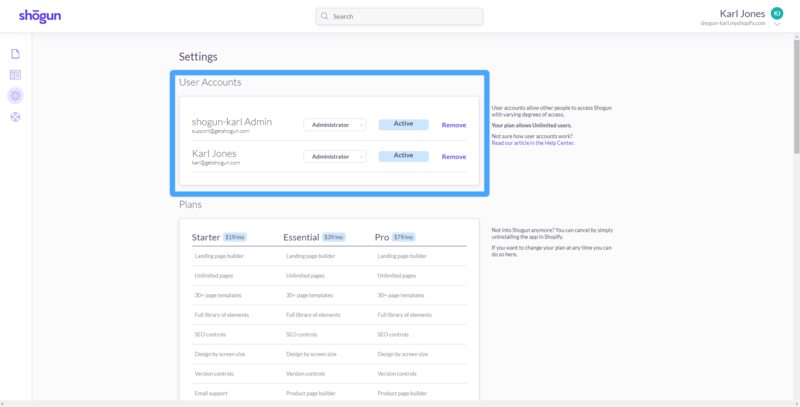 Shogun collaborators can be added by creating User accounts for them in BigCommerce's dashboard. Users can be given access to Shogun through the Single-Click App permissions.